« Are you really living as a Christian? EU negotiator Michel Barnier has revealed the first draft of the Brexit withdrawal treaty, emphasizing there were “no surprises.” Barnier’s speech focused on border issues between the UK and Ireland. European Union Brexit negotiator Michel Barnier said the UK must speed up talks if it wants to withdraw from the EU by March of next year. “If we wish to make a success of these negotiations … we must pick up the pace,” Barnier said as he revealed the draft Brexit divorce treaty on Wednesday. Barnier repeated that there would be “no surprises” in the draft, which will now go to the remaining 27 EU states and then Britain for approval. The arrangements of the draft treaty are overseen by a joint EU-UK committee but the European Court of Justice remains as the ultimate authority to resolve disputes. 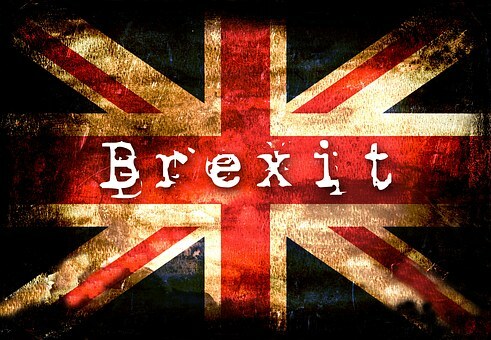 The draft treaty was based on interim accords reached in December and on EU positions which Britain has yet to accept. In particular, a protocol on how to avoid a “hard border” between the Republic of Ireland and Northern Ireland would effectively keep the northern neighbor within the EU structures and rules, such as the bloc’s single market and customs union. The draft states that the plan would only come into effect if no other solution to the border issue could be found. An EU proposal for the Northern Ireland border threatens the “constitutional integrity” of the United Kingdom, Theresa May has said. A draft legal agreement published by the EU proposes a “common regulatory area” on the island of Ireland after Brexit, if solutions cannot be found. Mrs May said “no UK prime minister could ever agree” to this. The EU says the controversial “backstop” option is not intended to “provoke” the UK. Mrs May said she would be making her opposition to the “backstop” option “crystal clear” to the EU commission. “The draft legal text the commission have published would, if implemented, undermine the UK common market and threaten the constitutional integrity of the UK by creating a customs and regulatory border down the Irish Sea, and no UK prime minster could ever agree to it,” she said. The prime minister was responding to a question from David Simpson of the Democratic Unionist Party, which gives the government the Commons support it needs to win key votes in the House of Commons. Earlier the DUP’s Westminster leader Nigel Dodds said his reaction to the publication was one of “amazement” that the EU thought it “could possibly fly with either us or the British government”. “We did not leave the European Union to oversee the breakup of the United Kingdom,” he told the BBC, adding that it would be “catastrophic” for Northern Ireland to be “cut off” from UK markets. As I warned on Sunday, we are hearing more and more talk suggesting a ‘hard’ Brexit (see Talks seem to suggest a relatively ‘hard’ Brexit). The EU has stated that it wants people matters, the exit bill, and Northern Ireland resolved by the date of the official British departure. There are issues that Northern Ireland and Gibraltar are facing because of the Brexit vote. Residents of both of those locations voted against the Brexit and for staying in the European Union. Now, both territories are facing challenges. The border between the Republic of Ireland and the UK’s Northern Ireland has been open for some time, and now there are concerns as well as confusion on what will happen in the future because of Brexit. One day the situation with Gibraltar will change, as will Northern Ireland. Northern Ireland will one day become part of the European Beast power, and it is likely that Ireland, officially currently the Republic of Ireland, will assist in the governance of it. Gibraltar will also one day become part of the European Beast power. And it is likely that Spain, officially currently the Kingdom of Spain, will assist in the governance of it. For many years, the major sea gates of the world were possessed/controlled by the United States (Panama Canal and certain locations in the Pacific ocean) and the British Empire (Straits of Malacca, Singapore, Suez Canal, Bab el Mandeb, Strait of Hormuz, Simon’s Town/Cape of Good Hope, etc.). And while that is no longer the case for many of them, they seem to have been prophesied to be taken away for disobedience as well (cf. Deuteronomy 28)—and certainly the USA and UK have disobeyed the God of Abraham during the process of actually losing many of those gates. Thus, it seems logical to conclude that the remaining “sea gates” that the UK has such as Gibraltar and the Falkland Islands will be separated from UK control. Spain directly, or perhaps, through the EU (or some other European confederation) indirectly, will force out British control over Gibraltar. And I expect that the Republic of Ireland (or at least an Irish leader) will have control over Northern Ireland and probably other lands as well. That does not mean that I expect that the UK will negotiate away Northern Ireland in the Brexit talks. It will likely take military action, though the Irish think that a vote will do it. The EU has taken several stances that the UK does not like, including stances that the EU used to pretend it did not really have. Glimpses of the true colors of the European project (e.g. Daniel 2:41-43; Isaiah 10:5-8) have indicated to some in the UK that leaving the EU is in its best interest. The UK pulling out without resolving many of the issues it wanted to resolve. Ireland and Spain may get quite upset. This entry was posted on Wednesday, February 28th, 2018 at 7:30 am	and is filed under Prophecy.